Faced with an ongoing legal battle with Qualcomm, Apple is reportedly ramping up its use of Intel baseband chips in iPhones —despite previously weak performance from Intel's parts. While Intel supplied about 30 percent of Apple's iPhone 7 chips in 2016, the proportion has risen to about 50 percent for new iPhones in 2017, DigiTimes said on Thursday. Some market watchers cited by the publication suggest that the ratio could go past 70 percent in 2018, since Apple and Qualcomm have so far been unwilling to make concessions. When Apple began using Intel's chips last year, the components were found only in GSM-based iPhones for AT&T and T-Mobile, since Intel didn't yet have CDMA-compatible technology for carriers like Sprint and Verizon. In fact it was discovered that Apple was deliberately limiting the performance of Qualcomm chips, since Intel's chips had substantially lower peak bandwidth. Since then, however, Intel has launched its XMM 7560 LTE modem, which supports CDMA and can theoretically hit gigabit speeds. 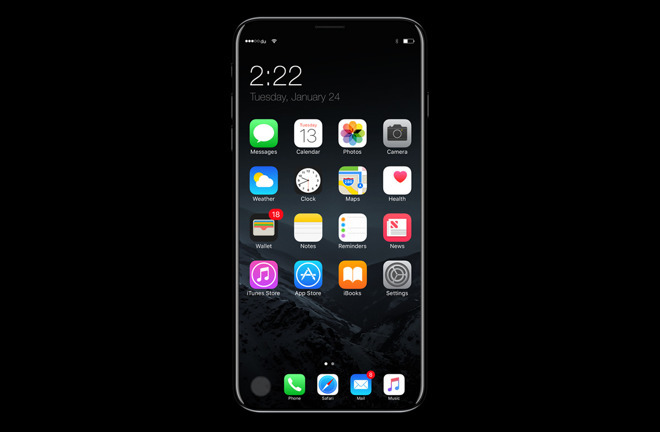 The chip will presumably find its way into Apple's "iPhone 8," and possibly the "iPhone 7s" and "7s Plus." Apple launched a lawsuit against Qualcomm in January, leveling many accusations, for instance saying that Qualcomm was abusing its "monopoly power" to demand high royalties and force chip buyers to license patents. Above all it charged that Qualcomm was withholding almost $1 billion in rebates in retaliation for helping a South Korean antitrust investigation. A countersuit was launched in April, and since then Qualcomm has also sought a court order asking that Apple's suppliers keep paying royalties. Those suppliers stopped paying Qualcomm earlier this year.